Dieterich Buxtehude ( [ˈdiːtəʁɪç bʊkstəˈhuːdə]; Danish: Diderich, [ˈdiðəʁeɡ buɡsdəˈhuːðə]; c. 1637/39 – 9 May 1707) was a Danish-German organist and composer of the Baroque period. His organ works represent a central part of the standard organ repertoire and are frequently performed at recitals and in church services. He composed in a wide variety of vocal and instrumental idioms, and his style strongly influenced many composers, including Johann Sebastian Bach. Today, Buxtehude is considered one of the most important composers in Germany of the mid-Baroque. 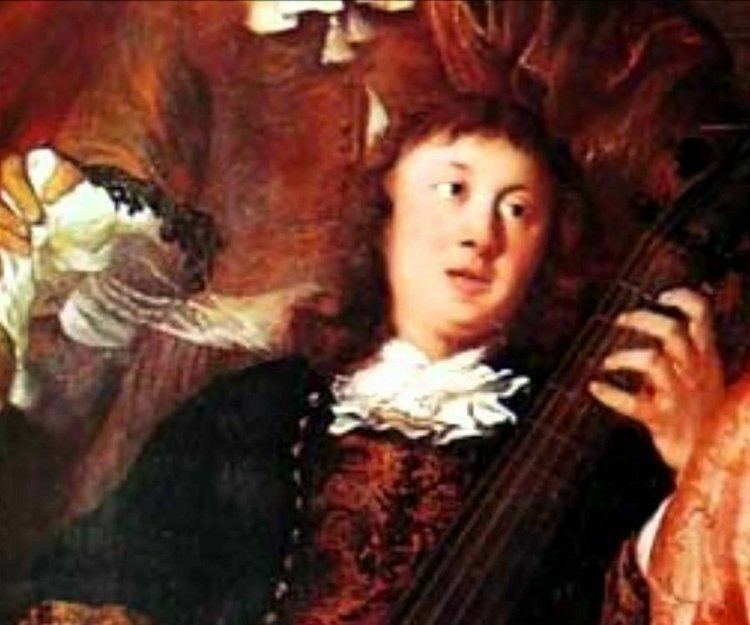 He is thought to have been born with the name Diderich Buxtehude. His parents were Johannes (Hans Jensen) Buxtehude and Helle Jespersdatter. His father originated from Oldesloe in the Duchy of Holstein, which at that time was a part of the Danish Monarchy (but is now in Germany). Scholars dispute both the year and country of Dieterich's birth, although most now accept that he was born in 1637 in Helsingborg, Skåne, at the time part of Denmark (but now part of Sweden). His obituary stated that "he recognized Denmark as his native country, whence he came to our region; he lived about 70 years". Others, however, claim that he was born at Oldesloe. Later in his life he Germanized his name and began signing documents Dieterich Buxtehude. His father — Johannes Buxtehude — was the organist at St. Olaf's church in Helsingør. Dieterich was employed as an organist, first in Helsingborg (1657–1658), and then at Helsingør (1660–1668). St. Mary’s in Helsingør is the only church where Buxtehude was employed that still has the organ in its original location. Buxtehude's last post, from 1668, was at the Marienkirche, Lübeck which had two organs, a large one for big services and a small one for devotionals and funerals. There he succeeded Franz Tunder and followed in many of the footsteps of his predecessor. He married Tunder's daughter Anna Margarethe in 1668 – it was not uncommon practice that a man marry the daughter of his predecessor in his occupation. Buxtehude and Anna Margarethe had seven daughters who were baptized at the Marienkirche; however, his first daughter died as an infant. After his retirement as organist at St Olaf's Church, his father joined the family in Lübeck in 1673. Johannes died a year later, and Dieterich composed his funeral music. Dieterich's brother Peter, a barber, joined them in 1677. His post in the free Imperial city of Lübeck afforded him considerable latitude in his musical career, and his autonomy was a model for the careers of later Baroque masters such as George Frideric Handel, Johann Mattheson, Georg Philipp Telemann and Johann Sebastian Bach. In 1673 he reorganized a series of evening musical performances, initiated by Tunder, known as Abendmusik, which attracted musicians from diverse places and remained a feature of the church until 1810. In 1703, Handel and Mattheson both traveled to meet Buxtehude, who was by then elderly and ready to retire. He offered his position in Lübeck to Handel and Mattheson but stipulated that the organist who ascended to it must marry his eldest daughter, Anna Margareta. Both Handel and Mattheson turned the offer down and left the day after their arrival. In 1705, J.S. Bach, then a young man of twenty, walked from Arnstadt to Lübeck, a distance of more than 400 kilometres (250 mi), and stayed nearly three months to hear the Abendmusik, meet the pre-eminent Lübeck organist, hear him play, and, as Bach explained, "to comprehend one thing and another about his art". In addition to his musical duties, Buxtehude, like his predecessor Tunder, served as church treasurer. 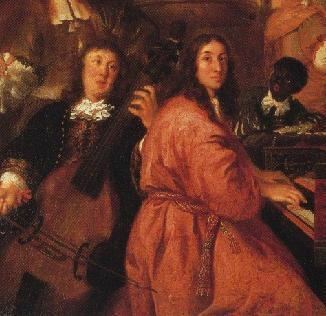 Although more than 100 vocal compositions by Buxtehude survive, very few of them were included in the important German manuscript collections of the period, and until the early twentieth century, Buxtehude was regarded primarily as a keyboard composer. His surviving church music is praised for its high musical qualities rather than its progressive elements. The bulk of Buxtehude's oeuvre consists of vocal music, which covers a wide variety of styles, and organ works, which concentrate mostly on chorale settings and large-scale sectional forms. Chamber music constitutes a minor part of the surviving output, although the only chamber works Buxtehude published during his lifetime were fourteen chamber sonatas. 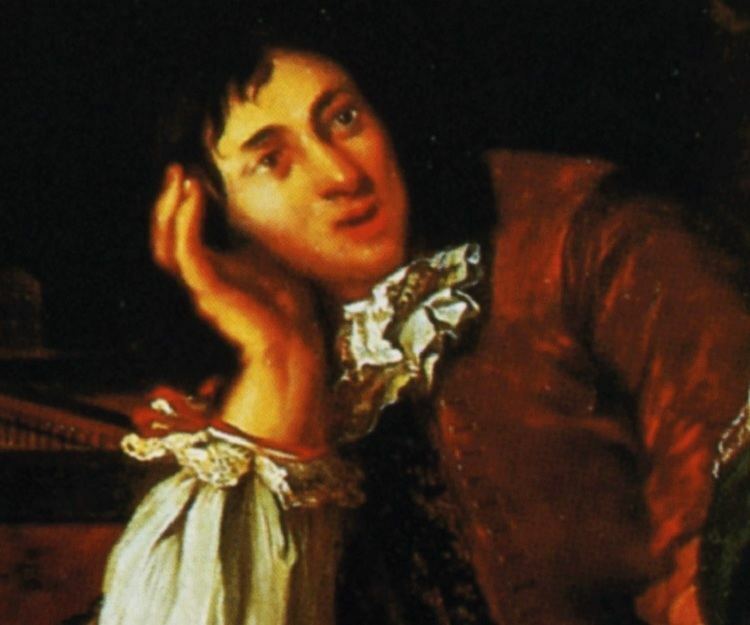 Unfortunately, many of Buxtehude's compositions have been lost. The librettos for his oratorios, for example, survive; but none of the scores do, which is particularly unfortunate, because his German oratorios seem to be the model for later works by Johann Sebastian Bach and Georg Philipp Telemann. Further evidence of lost works by Buxtehude and his contemporaries can be found in the recently discovered catalogue of a 1695 music-auction in Lübeck. Gustaf Düben's collection and the so-called Lübeck tablature A373 are the two most important sources for Buxtehude's vocal music. The former includes several autographs, both in German organ tablature and in score. 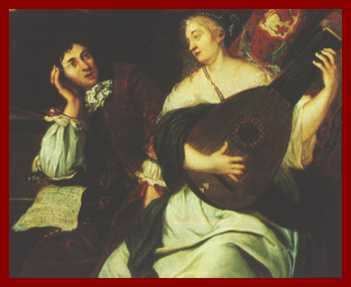 Both collections were probably created during Buxtehude's lifetime and with his permission. Copies made by various composers are the only extant sources for the organ works: chorale settings are mostly transmitted in copies by Johann Gottfried Walther, while Gottfried Lindemann's and others' copies concentrate on free works. Johann Christoph Bach's manuscript is particularly important, as it includes the three known ostinato works and the famous Prelude and Chaconne in C major, BuxWV 137. Although Buxtehude himself most probably wrote in organ tablature, the majority of the copies are in standard staff notation. The nineteen organ praeludia (or preludes) form the core of Buxtehude's work and are ultimately considered his most important contributions to the music literature of the seventeenth century. They are sectional compositions that alternate between free improvisation and strict counterpoint. They are usually either fugues or pieces written in fugal manner; all make heavy use of pedal and are idiomatic to the organ. These preludes, together with pieces by Nicolaus Bruhns, represent the highest point in the evolution of the north German organ prelude, and the so-called stylus phantasticus. They were undoubtedly among the strongest influences of J.S. Bach, whose organ preludes, toccatas and fugues frequently employ similar techniques. The preludes are quite varied in style and structure, and are therefore hard to categorize, as no two praeludia are alike. The texture of Buxtehude’s praeludia can be described as either free or fugal. They consist of strict diatonic harmony and secondary dominants. Structure-wise, there usually is an introductory section, a fugue and a postlude, but this basic scheme is very frequently expanded: both BuxWV 137 and BuxWV 148 include a full-fledged chaconne along with fugal and toccata-like writing in other sections, BuxWV 141 includes two fugues, sections of imitative counterpoint and parts with chordal writing. Buxtehude’s praeludia are not circular, nor is there a recapitulation. A fugal theme, when it recurs, does so in a new, changed way. A few pieces are smaller in scope; for example, BuxWV 144, which consists only of a brief improvisatory prelude followed by a longer fugue. The sections may be explicitly separated in the score or flow one into another, with one ending and the other beginning in the same bar. The texture is almost always at least three-voice, with many instances of four-voice polyphony and occasional sections in five voices (BuxWV 150 being one of the notable examples, with five-voice structure in which two of the voices are taken by the pedal). Occasionally the introduction will engage in parallel 3rds, 6ths, etc. For example, BuxWV 149 begins with a single voice, proceeds to parallel counterpoint for nine bars and then segues into the kind of texture described above. The improvisatory interludes, free sections and postludes may all employ a vast array of techniques, from miscellaneous kinds of imitative writing (the technique discussed above, or "fugues" that dissolve into homophonic writing, etc.) to various forms of non-motivic interaction between voices (arpeggios, chordal style, figuration over pedal point, etc.). Tempo marks are frequently present: Adagio sections written out in chords of whole- and half-notes, Vivace and Allegro imitative sections, and others. 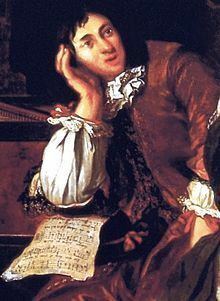 Buxtehude's other pieces that employ free writing or sectional structure include works titled toccata, praeambulum, etc. All are similar to the praeludia in terms of construction and techniques used, except that some of these works do not employ pedal passages or do so in a very basic way (pedal point which lasts during much of the piece, etc.). 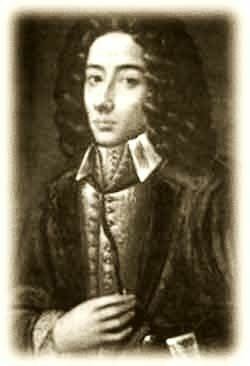 A well-known piece is BuxWV 146, in the rare key of F-sharp minor; it is believed that this prelude was written by Buxtehude especially for himself and his organ, and that he had his own way of tuning the instrument to allow for the tonality rarely used because of meantone temperament. The chorale fantasias (a modern term) are large-scale virtuosic sectional compositions that cover a whole strophe of the text and are somewhat similar to chorale concertos in their treatment of the text: each verse is developed separately, allowing for technically and emotionally contrasting sections within one composition. The presence of contrasting textures makes these pieces reminiscent of Buxtehude's praeludia. Buxtehude was careful with correct word setting, paying particular attention to emphasis and interpretation. Each section is also closely related to the text of the corresponding lines (chromatic sections to express sadness, gigue fugues to express joy, etc.). Examples include fantasias on the [hymn]s Gelobet seist du, Jesu Christ BuxWV 188, Nun freut euch, lieben Christen g'mein BuxWV 210, Nun lob, mein Seel, den Herren BuxWV 213 and Wie schön leuchtet der Morgenstern, BuxWV 223. Buxtehude's chorale variations are usually in two or three voices. They consist of around 3–4 variations of which only one may use the pedal. These pieces are not as important for the development of the form and not as advanced as Pachelbel's or Böhm's contributions to the genre. There are only a few chorale variations, and there are no distinctive qualities that characterize them. The pieces that do not fall into any of the three types are Auf meinen lieben Gott BuxWV 179, which is, quite unusually for the time, a dance suite based on the chorale, and the ones based on the chant (Magnificats BuxWV 203–5 and Te Deum laudamus, BuxWV 218), which are structurally similar to chorale fantasias. The three ostinato bass works Buxtehude composed—two chaconnes (BuxWV 159–160) and a passacaglia (BuxWV 161)—not only represent, along with Pachelbel's six organ chaconnes, a shift from the traditional chaconne style, but are also the first truly developed north German contributions to the development of the genre. They are among Buxtehude's best-known works and have influenced numerous composers after him, most notably Bach (whose organ passacaglia is modeled after Buxtehude's) and Johannes Brahms. The pieces feature numerous connected sections, with many suspensions, changing meters, and even real modulation (in which the ostinato pattern is transposed into another key). The praeludium in G minor, BuxWV 148, in which the ostinato pattern is derived from the subject of one of the fugal sections, also ends in a chaconne. In addition, another praeludium in G minor, BuxWV 149, employs a repeating bass pattern in the beginning. The rest of Buxtehude's keyboard music does not employ pedals. Of the organ works, a few keyboard canzonas are the only strictly contrapuntal pieces in Buxtehude's oeuvre and were probably composed with teaching purposes in mind. There are also three pieces labelled fugues: only the first, BuxWV 174, is a real fugue. BuxWV 175 is more of a canzona (two sections, both fugal and on the same subject), while BuxWV 176 is more like a typical Buxtehude prelude, only beginning with a fugue rather than an improvisatory section, and for manuals only. There are also 19 harpsichord suites and several variation sets. The suites follow the standard model (Allemande – Sarabande – Courante – Gigue), sometimes excluding a movement and sometimes adding a second sarabande or a couple of doubles. Like Froberger's, all dances except the gigues employ the French lute style brisé, sarabandes and courantes frequently being variations on the allemande. The gigues employ basic imitative counterpoint but never go as far as the gigue fugues in the chorale fantasias or the fugal writing seen in organ preludes. It may be that the more developed harpsichord writing by Buxtehude simply did not survive: in his writings, Johann Mattheson mentioned a cycle of seven suites by Buxtehude, depicting the nature of planets, but these pieces are lost. The several sets of arias with variations are, surprisingly, much more developed than the organ chorale variations. BuxWV 250 La Capricciosa may have inspired Bach's Goldberg Variations BWV 988: both have 32 variations (including the two arias of the Goldberg Variations); there are a number of similarities in the structure of individual movements; both include variations in forms of various dances; both are in G major; and Bach was familiar with Buxtehude's work and admired him, as has been related above. Bernard Foccroulle (complete) Ricercar RIC250. Awarded the Diapason d’Or and the Grand Prix de l’Académie Charles Cros in 2007 in addition to other prizes. 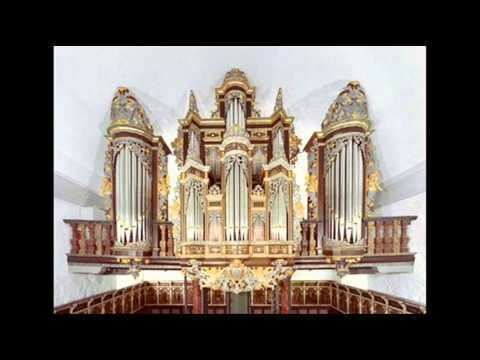 On 5 CDs and performed on 5 different organs: Groningen, Martinikerk, Schnitger Organ; Helsingor, Sct.Mariae Kirke, Lorentz-Frietzsch organ; Norden, Ludgeri Kirche, Schnitger Organ; Stockholm, St. Getruds Gemeinde, Gronlunds Organ; Hoogstraten, Sint Katharinakerk, Thomas Organ. Recorded between 2003 and 2006.